Chris Brown | Sydney Tax Lawyer | Brown Wright Stein Lawyers — Brown Wright Stein Lawyers | Sydney Lawyers - Tax Specialist Lawyers, Corporate & Commercial Lawyers..
Chris Brown has practiced in revenue, commercial and corporate law for over 45 years, with a critical focus on innovation, strategic planning and legal design, to satisfy the needs of clients. He has worked to ensure that Brown Wright Stein Lawyers strives to continually evaluate and improve internal processes and is passionate about continued employee learning and growth, to enable the firm to satisfy the needs of clients in a strategic, ethical, timely and cost effective manner. He has worked strategically with successful entrepreneurs and business leaders and owners in many fields, to create long term sustained growth and brand value for shareholders, investors and stakeholders. He has a particular interest in the design of systems for effective linking of operations with execution of enterprise strategy, remuneration strategy, corporate governance and risk. Chris has been a non-executive director of Harvey Norman Holdings Limited since 1982, and a non-executive director or chairman of a number of unlisted companies in the retail, freight and logistic sectors. He's currently a member of the audit, remuneration and nomination committees of Harvey Norman Holdings Limited. Chris is passionate about social justice for people with an intellectual disability. He is chairman of Windgap Foundation Limited, a public benevolent institution which provides a wide range of services to people with intellectual disabilities and their families. 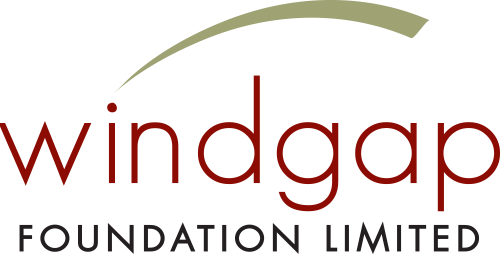 Windgap's mission is to support people with an intellectual disability to be included and participate in the community to the fullest possible extent. In June 2013 in the Queen’s Birthday honours list Chris was awarded the Order of Australia, for service to the community, particularly people with a disability. Chris values the fact that Brown Wright Stein Lawyers is able to regularly utilise the skills and resources of the firm, pro bono, to assist people with disability and their families.